Podge & Rodge are set to return to our screens this October after eight years off. Well for some, eight years off! 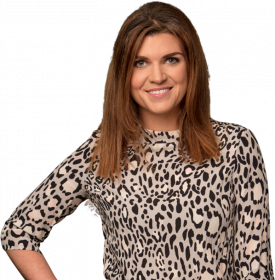 It was announced this week that radio and TV personality Doireann Garrihy will be joining the duo to host the show. Speaking to Dermot & Dave Doireann revealed what it was like to audition for Podge & Rodge, and what surprise greeted her when she entered the room. The Doireann Project will also be returning to the RTE Player and RTE 2 later this year with brand new episodes and characters, including a very spot-on Amy Huberman!